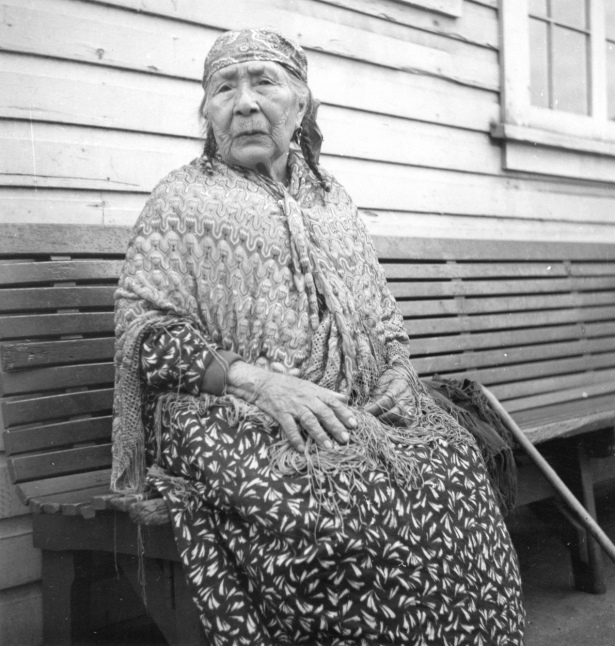 Mary Agnes Capilano, known also by her Squamish name Lixwelut, was the wife of Joe Capilano. She was a Squamish matriarch and first-born daughter of a marriage that united two previously warring tribes, the Yaculta and the Squamish. Mary was known widely for her talents as a basket weaver, and was often seen paddling her dugout canoe, even in her older years, to cross the First Narrows between the Capilano Reserve and downtown Vancouver. While Chief Joe passed away in 1910 before Legends of Vancouver was published, Mary lived another thirty years – long enough to witness the devastating effects of the Indian Act and resulting theft of Squamish land.